West Virginia is a state whose judicial system has been flooded with legal actions taken against companies that criminally and/or negligently exposed workers and others to asbestos, a dangerous and potentially fatal substance long known to cause serious diseases. People who live in West Virginia, particularly those in Kanawha Country, where rates of asbestos poisoning are highest in the state, are wise to learn about sources of asbestos in our state, the possible effects of such exposure, and where the get help. Asbestos, once widely used in myriad industries, is used and produced much less than in the past due to the serious risks associated with its use. While this is good news, companies have used this material for decades despite knowing its risks. These past operations continue to haunt the present, as many people previously exposed are now learning they have developed asbestos cancer diseases. Furthermore, many building materials and industrial facilities still harbor asbestos containing materials. Asbestos exposure has claimed hundreds of lives in West Virginia, including 594 between the years of 1979 and 1999. Of these victims of asbestos exposure, the majority died due to asbestosis, a non-malignant but serious lung disease. The remaining deaths were caused by mesothelioma cancer, a rarer but more frequently fatal condition that affects the lining of the heart, abdomen, and lung cavities. Early diagnosis is crucial to prolonging and improving life with respect to both asbestosis and mesothelioma. Please read on to learn about where to get medical help for asbestos related diseases. If you have been diagnosed with any of these conditions, it is also wise to seek legal advice, as you might be able to obtain compensation for your losses and suffering. 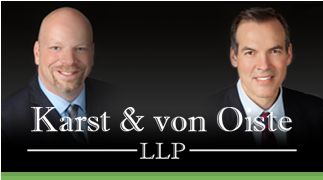 Please click here to contact our qualified asbestos attorneys. The Schiffler Cancer Center has been internationally recognized for decades for exemplary cancer treatment and research, and has treated cancer patients from more than 30 states and 14 countries. It is home to the only Comprehensive Cancer Center in the area, as noted by the American College of Surgeons. Schiffler will treat most cancers, including mesothelioma and lung cancer. The cancer doctors here are well known in the US and around the world for cancer treatment experience, knowledge and great contributions to the field. The cancer doctors are supported by a talented staff of therapists, cancer researchers and nurses. As one, they provide cancer patients with fast evaluation of the disease and the most compassionate care in a very comfortable and modern setting. At Schiffler, the latest cancer treatment technology is utilized as well as new treatment techniques to offer the best standard of care to all types of cancer patients. The advanced cancer center here offers not just care for the patient’s physical needs, but also support for emotional, social and spiritual needs. A very frank, open and honest discussion is kept up all through the process of treatment of the cancer. The center also offers new radiation therapy treatments that can target your tumor with minimal harm to surrounding tissues. It also is the sole cancer center in the WV area that offers high dose rate brachytherapy. Another unique program at Schiffler is what is called the Fresh Start program, which is designed for patients who are dealing with cancer treatments or recovering from them. Anyone who participates in the Fresh Start program does not have to be a patient at Schiffler, but they need to have a doctor referral. Fresh Start was designed with the belief that diet, education, exercise and support can help to improve cancer treatment results. Fresh Start provides the cancer patient with a specially designed fitness and design program that will help to improve the mind, body and spirit. The therapists who work in this dynamic program believe that this type of complete focus on your overall well being makes recovery occur faster. To get started in the Fresh Start program, occupational and physical therapists will screen the cancer patient and over two weeks, an exercise physiologist sets up a detailed program to meet the cancer patient’s specific goals, which is done at no cost to them. Special educational classes are done that will discuss exercise, spiritual needs and nutrition. After this initial process, for a small fee, the cancer patient can work in exercise sessions that stress overall fitness and strength. If you have suffered exposure or cancer due to asbestos in West Virginia, contact for West Virginia Asbestos lawsuit information to learn more about your legal rights.